Many Northwest winemakers are trying to make wine a little less fussy by putting it in aluminum cans. 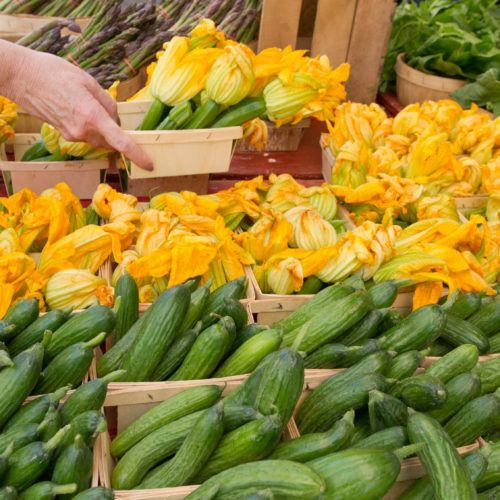 Some winemakers are calling it the “beerification” of wine. Sleek aluminum cans that look like a soda or Red Bull are popping up in hip Northwest restaurants or in local groceries. 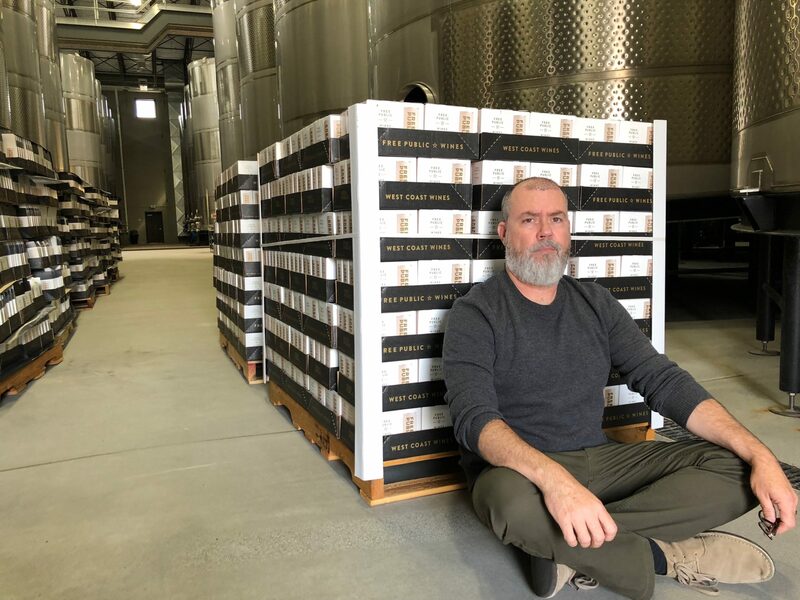 “We’re trying to tie the joy of a good wine to like the bloom of a flower,” says Michael Etter, the president and creative brains behind Portland-based Free Public wines. Winery owners like Etter are trying to appeal to a different kind of consumer – one who’s on the go but still wants a red, white or rosé. He wants his wines to show up in everywhere: concert venues, beach bonfires, art events. 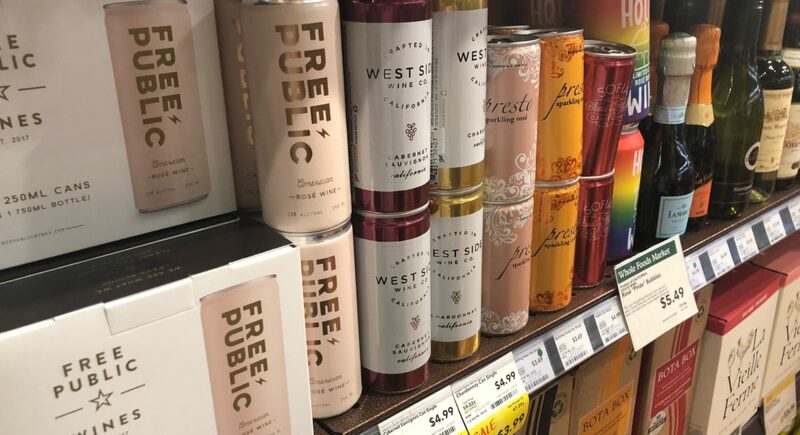 Free Public, and some other canned wines, aren’t tethered to a specific winemaker, or vineyard. Rather, the makers buy surplus fermented juice from other wineries across the West, and then they can it. Ryan Harms is one person doing a lot of that canning. He’s excited to show off his new Sacmi filler-seamer, a critical piece of wine-canning equipment. It’s only run a few times, and it glistens like a shiny European sports car. It’s part of a new $3.5 million facility just built for his Union Wine Company outside Portland. “This line has the ability to do 650 cans a minute,” he says. Harms was one of the first to put wine in cans about five years ago. “I think in the early days when we first launched wine in a can, it was the excitement that kept us going,” Harms says. 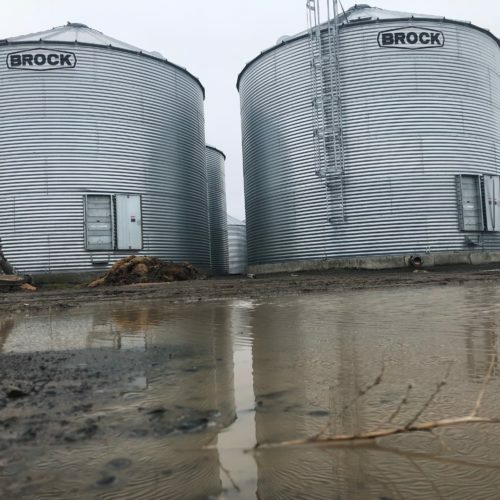 He used to produce only a small amount of wine ahead of what he could sell, thinking that this might be a short-lived trend. 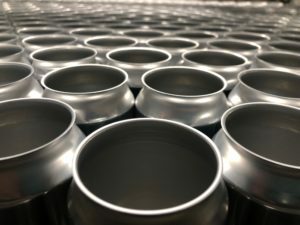 But now, with the final parts still being soldered on his massive canning line, Harms says he’s producing double the amount of canned wine as last year: 244,000 cases. And he plans to scale-up his company again this year. He’s already shipping across the U.S. and internationally. And other wine companies are crushing in close behind. Sean Sullivan is a top Northwest wine expert and contributing editor to Wine Enthusiast magazine. 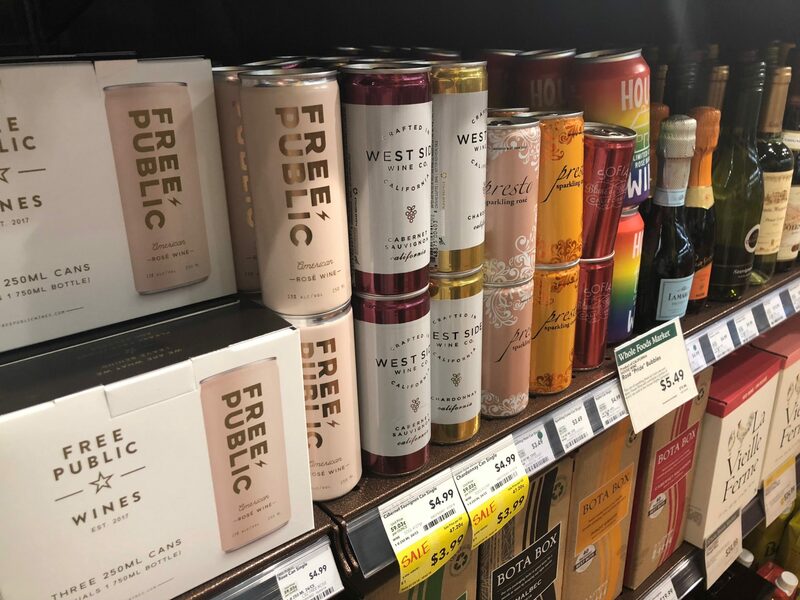 “One of the things I like about wine in a can, is it makes wine more accessible to people in a whole variety of different ways,” Sullivan says. 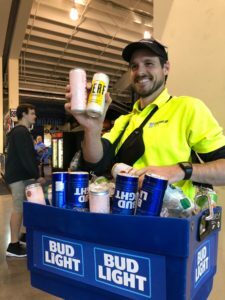 He says cans might really appeal to a growing market of millennials now coming of age. Sullivan thinks consumers might come around to cans faster than they did to boxed wines or screw-capped bottles. Heavy-weights in the Northwest wine scene are also starting to can, including: Ste. Michelle Wine Estates, Pacific Rim, Goose Ridge and House Wine. And Sullivan says he thinks an increasing variety of Northwest wine brands will be canned up and available soon.